It appears that Chase Bank has a division that continuously checks the net for any posts or comments about them. So it shouldn’t take them long to find this one. It didn’t take them long at all to find the videos that my friends and short sale competitors, Kevin and Fred had at their site, Short Sale Power Hour. Then the lawyers for the Chase Bully and Threats Division got involved. The videos in question had Kevin and Fred talking about their experiences and interactions as short sale agents dealing with Chase. The Chase Bully and Threats Division didn’t like the videos of Kevin and Fred talking about Chase Bank’s short sale division but there wasn’t anything Kevin and Fred were saying in the videos that Chase could claim was false or untrue or that would justify asking for them to be removed or modified. That didn’t matter. During a very lengthy (6 hours, I am told) conversation, the lawyer from Chase told the lawyer from Keller Williams Realty International that if the videos in question, mentioning Chase, were not removed from Kevin and Fred’s Short Sale Power Hour site, Chase Bank would pull every REO listing from every single Keller Williams agent! There are 80,000 Keller Williams agents. Every REO listing that was a Chase listing from every single KW agent anywhere in the world. Now that’s a damn nice threat! I want one! 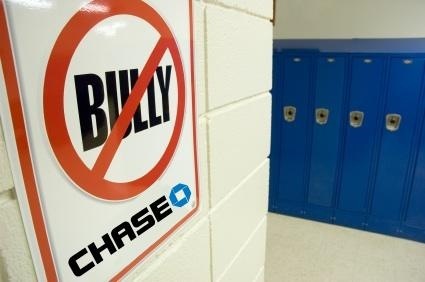 I want Chase Bank to threaten me. Here is how they can get in touch with me so I can be threatened too. In an effort to stop sellers facing foreclosure from gaming their system, Wachovia has completely stopped allowing any postponement of a foreclosure or Trustee’s Sale. I have long felt that Wachovia was not simply a good lender to deal with for a short sale – truth be told – they were the very best. I’m being told that this new policy isn’t going to be a "bad" thing. I don’t see it that way. To penalize everyone because of the bad actions of a few is seldom good (even if common). If you are SUBMITTING A SHORT SALE PACKAGE on a property that has a SALE DATE SET FOR AUGUST 30th, the SHORT SALE APPROVAL WILL BE ISSUED with an expiration date of AUGUST 25th and we will NOT EXTEND the Short Sale approval or SALE DATE. I’m hoping that this new policy from Wachovia is reversed. I do understand that some lenders say they will postpone one and then go right ahead and foreclose anyway. I’ve just always expected much better from Wachovia. And rightly so! I don’t think Jeff Brown’s (BawldGuy) head is much larger than Jay Thompson’s head or my head . The three of us will be on a panel together on Tuesday, August 24th in Scottsdale. Each of the three of us has a different approach to our business and yet I can’t remember a time I disagreed fundamentally with something significant that Jeff or Jay had to say about how to get and keep customers. That last part of that last sentence is THE most important skill in business success: HOW TO GET AND KEEP CUSTOMERS. If you are good at that one you could be bad at most of the other skills and still be a success. I am not recommending being bad at the other important skills – just pointing how how important that one is. If you are not good at that one it won’t make much difference how good you are at the other skills – if you are in business for yourself – you will still fail. 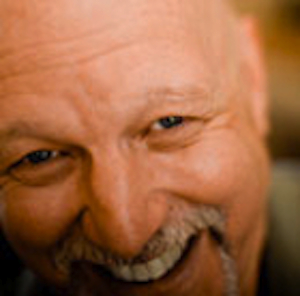 How we get and keep customers is what we will be covering – from three different perspectives. In Gary Keller’s wonderful book, "The Millionaire Real Estate Agent" the idea of Leads, Listings, Leverage was a key concept. If you are working on or solving a problem in your real estate business you were always solving or working on one of those three issues. How to get more leads, how to get more listings from those leads or setting up or improving your systems. Those three things: Leads, Listings & Leverage were THE things. Just those three. No matter how it might seem that our industry is changing or the economy is now "different" (it usually is) those three things really are what needs work. Getting leads, converting leads into listings and being able to handle more and more and still give great service. The "economy", various market conditions, etc. 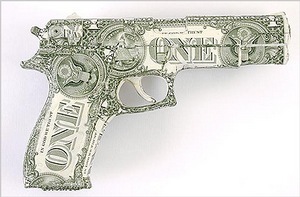 does not determine your stats or your income. Your ability to adapt to the current market and lead generate in that market with an offer that seems desirable to consumers in the current market and then lead convert establishes your income. That is all in the skill category and that is something you can do something about. Always. You are currently browsing the Number 1 Home Agent blog archives for August, 2010.